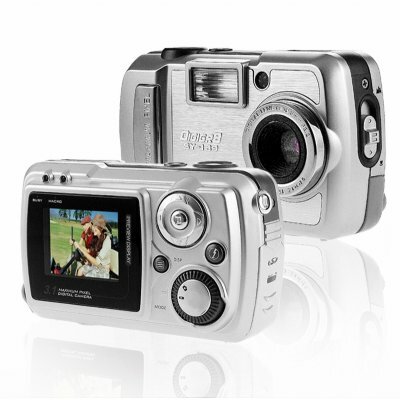 Successfully Added Digital Camera 3M Pixel + 16MB Memory - SD/MMC Slot to your Shopping Cart. A multi-mode Digital Camera with a 2.0 mega pixel CMOS sensor for taking quality 2 mega pixel pictures with 3 mega pixels via interpolation, and 16 MB of internal flash memory with expandable SD/MMC support. For a very low wholesale price that Chinavasion offers you will be getting some very impressive features such as 320x240 video clips, PC camera/web camera ability, and more. This camera will do everything you expect plus some very nice surprises for an unbelievable price..